It’s the late 1980s. A women’s therapy group, headed by group leader, Grace, is transformed forever when Dena joins the group and winds up being a catalyst for change in the lives of Sage, a flower child; Liz, a powerful businesswoman who has problems balancing work and home; Chlo, a gay bank employee and single mom of a teenage son; and Molly, a mother of two young children who is dealing with weight and work issues. 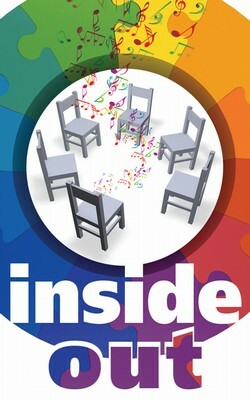 Featuring tuneful, memorable music by Adryan Russ and insightful lyrics by Russ and Doug Haverty, Inside Out, is every bit as timely today as it was when it premiered off-Broadway at the Cherry Lane Theater, where it received excellent reviews.